Room Escaping is fun, but it can be a lot of effort. I mean, all that walking and turning, and looking at things, it's exhausting! Wouldn't it be nice if escaping could be whittled down to simply trying to open a bunch of doors? Wait, a genre like that already exists? Well, a new puzzle game has joined the field, Neon Doors by Mobest Media. (Also available for free as Surreal Escape for iOS and Android) For those couch potatoes to whom actually walking a few steps is too much effort, Neon Doors has narrowed the gameplay to simply figuring out one puzzle to get through each door. 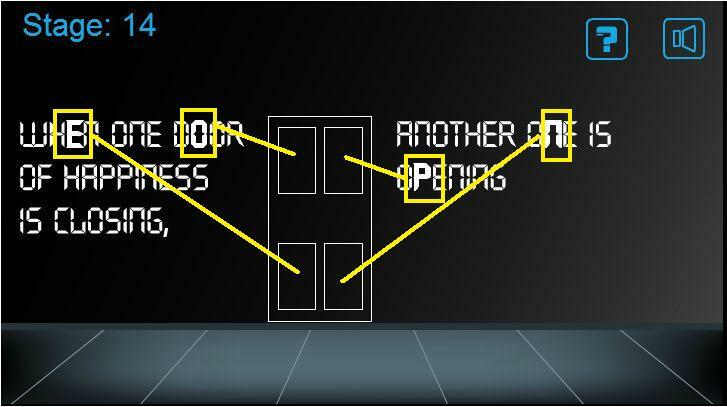 Less physical than Dooors and others of that ilk, Neon Doors is more esoteric, featuring more cerebral puzzles, some so abstract that you don't even see the actually doorway until the puzzle is solved. Featuring the standard point-and-click interface (which includes some nifty clicking and dragging or clicking and holding), Neon Doors is a fun escape for those who appreciate more cerebral pursuits. Neon Doors (Surreal Escape) Walkthrough now available! The six panels to the right of the door are a puzzle. Click each panel to rotate it until they form the shape of a key. Once the shape is correct a key will appear beneath the panels, take it. Here's a Screenshot of the puzzle. 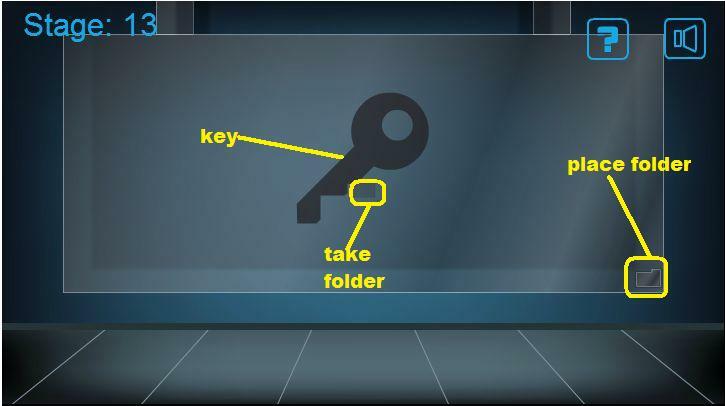 Click the locks in order, from left to right. 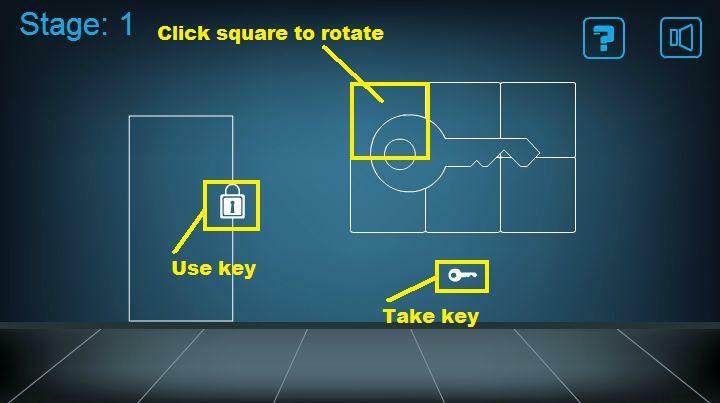 Once all locks are clicked, click on the key. The bars, from lowest to highest, indicate the order in which to click the rectangles. The order is: third from the left, fourth from the left, far left, far right, second from the left, second from the right. The door appears, click on it to open and go through. 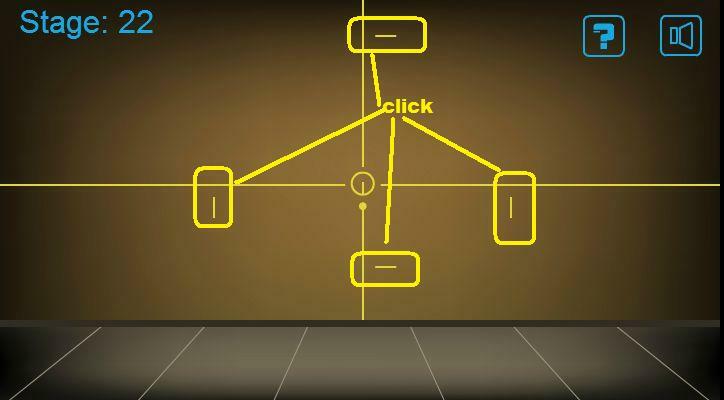 Find the center column of rectangles, then click the three up from the floor. 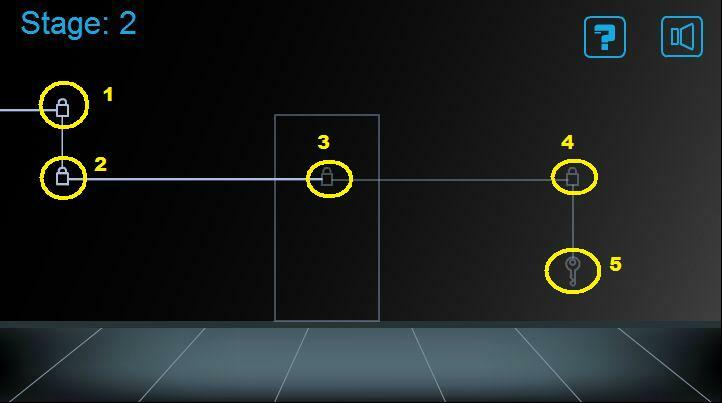 Once you've clicked the three the door will appear (it will be barely noticeable. Click on the door to open it and go through. Click on the up arrow and the down arrow to take them. 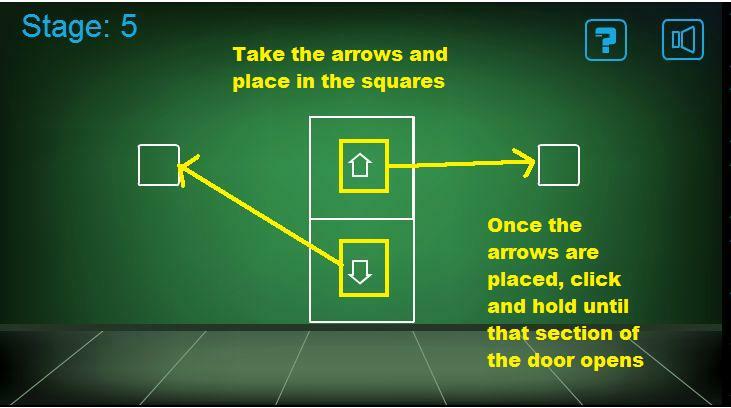 Place the arrows in the small squares on either side of the door. Click and hold on the up arrow until the top part of the door slides all the way up. Click and hold on the down arrow until the bottom part of the door slides all the way down. Once the door is open go thorugh. Note the bar code on the left. 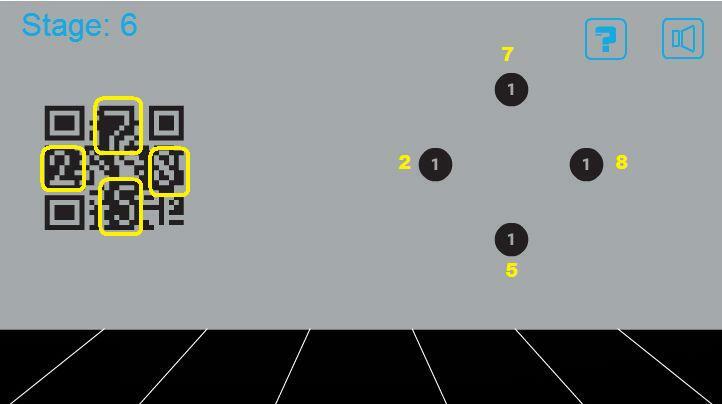 Look closely, there are numbers hidden in it, which correspond to the four black dots on the right. The top number is 7, the left number is 2, the bottom number is 5, and the right number is 8. Click on the number buttons to make the numbers match. This is like a game of Battleship. There is a ship hiding in the 3 x 3 grid that fills 2 grids. 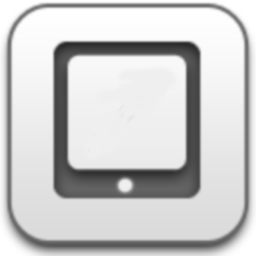 Click in the empty squares. A circle is a miss, an X is a hit. You can click three squares at a time. Eventually you will find both Xs. Once you find the ship the door will appear. Look at the numbered notches on the left and right of the screen. If you click on them they slide out and name the continents. You should then highlight the continents in the same number order as the sliders. 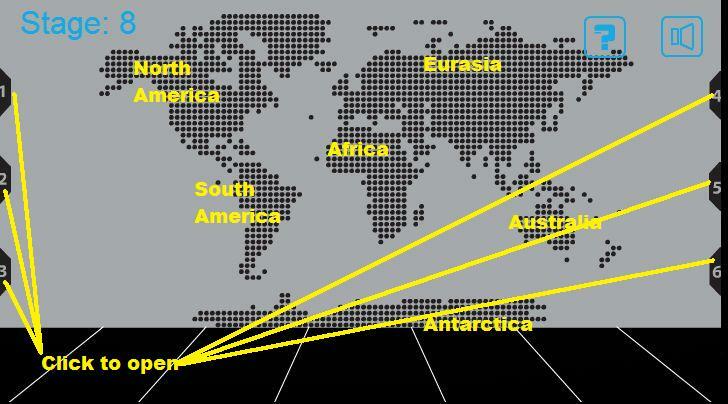 The order is: North America, Africa, Antarctic, Eurasia, South America, Australia. Note the small lines on each of the four black circles. Click on the circles to rotate them until the lines match up to form a door shape. 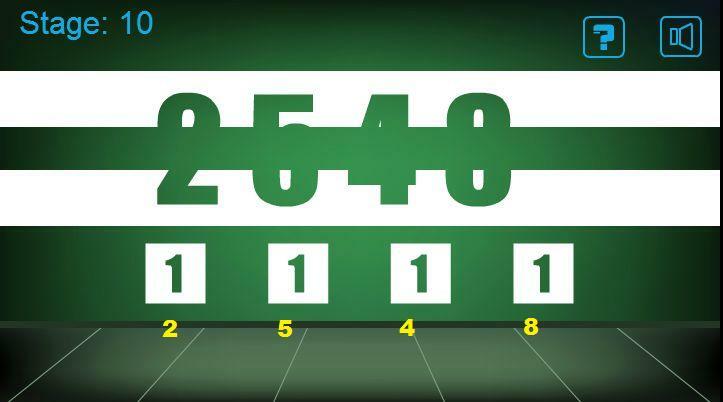 Click and grab the upper white bar and pull it to the left until half numbers appear. Click and grab the lower white bar and pull it to the right until the other half numbers appear. 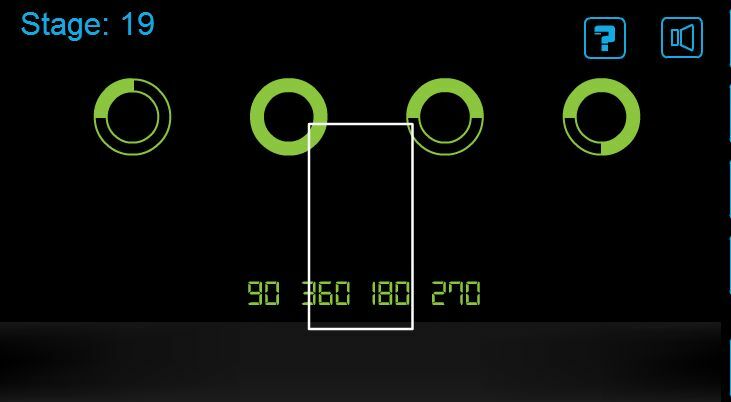 Align the bars and you can see the code: 2548. 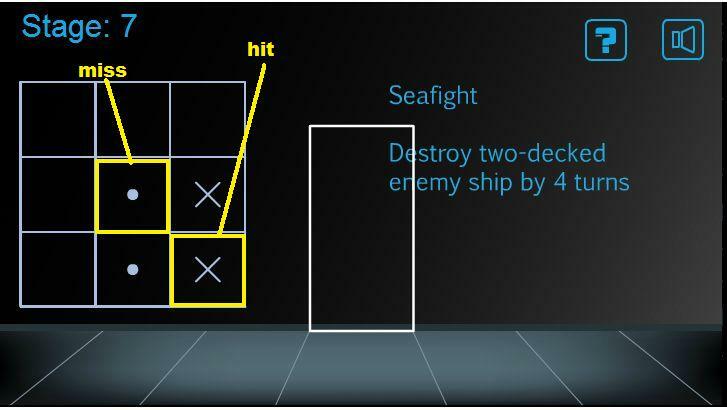 Enter the code in the white boxes. Hover your cursor over the Tron car. Notice that the cursor changes when you go over a clickable area. 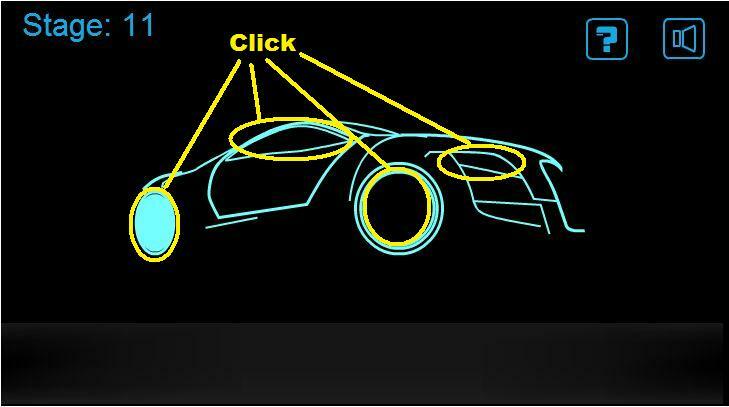 Click on all of the clickable areas: both tires, the side window, and the headlight. Note all of the binary code. 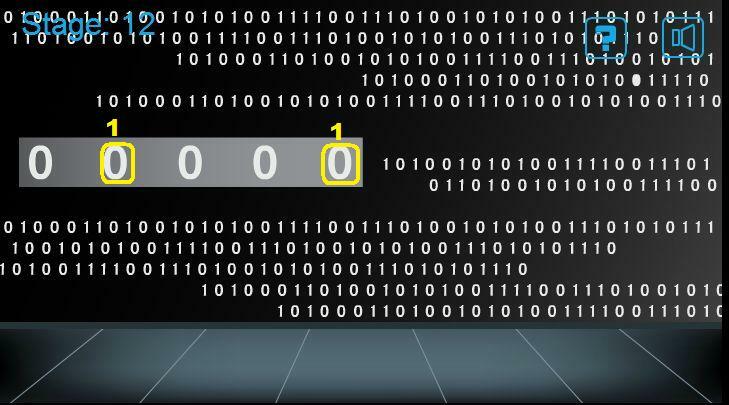 The five digit code is set to all zeros. You need to change the second from the left and the far right 0 to 1. You will see a small file icon in the middle of the scene, take it. A screen will drop down. Note the small file icon shape in the lower right. 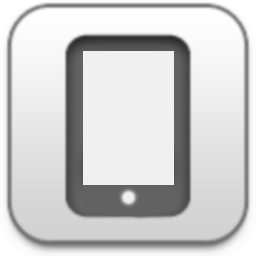 Place the file icon in this shape and a picture will appear in the center of the screen. Click on the picture and it changes. Keep changing the picture until it is a key. Now click on the file icon in the lower right twice, and the screen will slide back up. Place the file icon back in the original notch and the door will appear. When reading the pithy saying notice that four of the letters are thicker than the others, E, O, N, and P.
Click on those letters to take them. Now place the letters in the door to spell open: O in the upper left, P in the upper right, E in the lower left, and N in the lower right. Look closely at the numbers in the honeycomb shape, they will fade in a few seconds. You need to click the spaces where the numbers were, in order from 1 to 4. If you miss one, the honeycomb will go black and you will have to start again. Note the numbers, they show the time and the date. To the left of the numbers is an e-mail envelope, click on it. The e-mail says Happy New Year. Click on the return symbol to get back to the numbers. 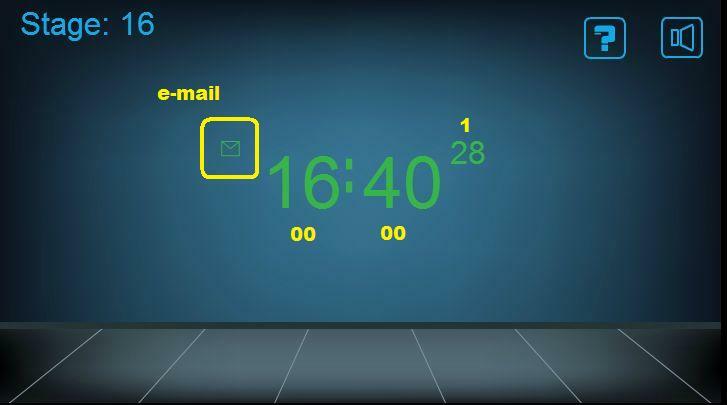 Set the hour and minutes to 00, then set the date (the smaller numbers to the right) to 1. Look closely at the number boxes across the bottom. The large open boxes (yellow, blue, and pink) correspond to the large open circles in the picture above. 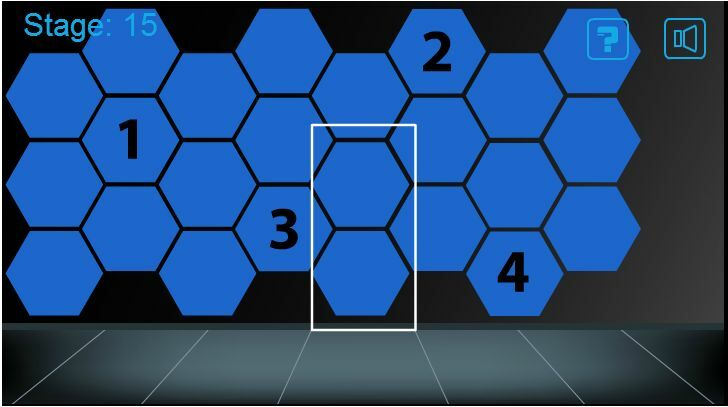 The next boxes (the small open boxes, yellow, blue, and pink) correspond to the small open circles in the picture. 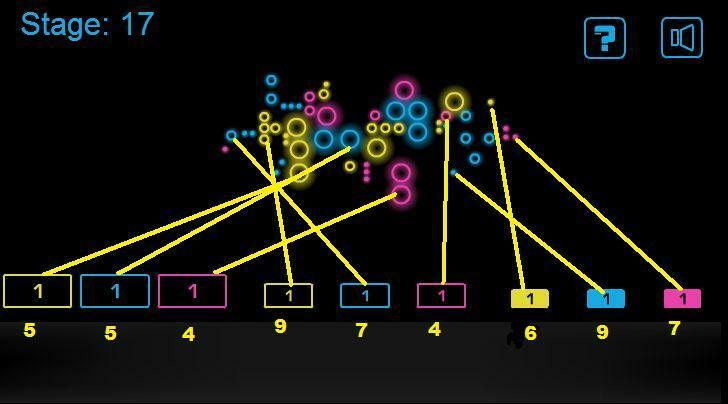 The small filled-in boxes (yellow, blue, and pink) correspond to the yellow, blue, and pink dots in the picture. 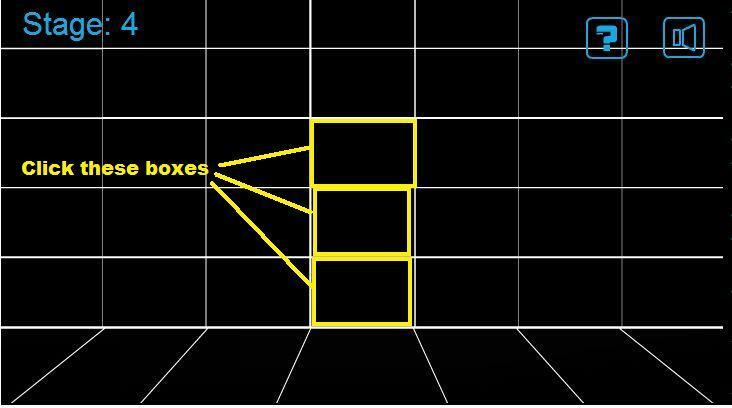 You have to count the shapes, large, medium, and small, and place the numbers in the boxes. 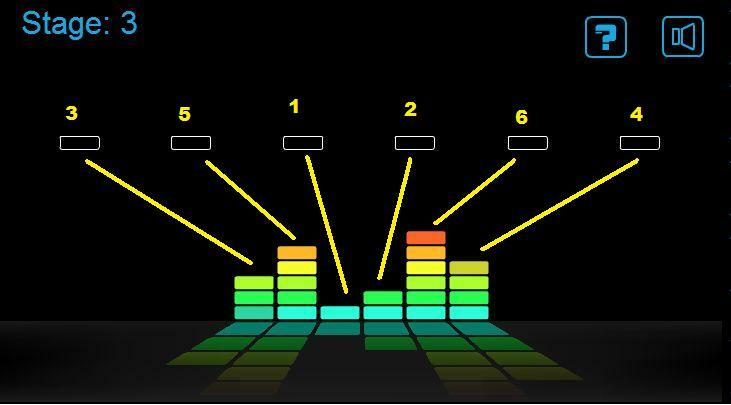 The solution, from left to right, is: 5, 5, 4, 9, 7, 4, 6, 9, 7. If you click the solid white hexagon in the lower right, it will raise the lower line to the upper line. However, those hexagon shapes are preventing the lines from meeting properly. 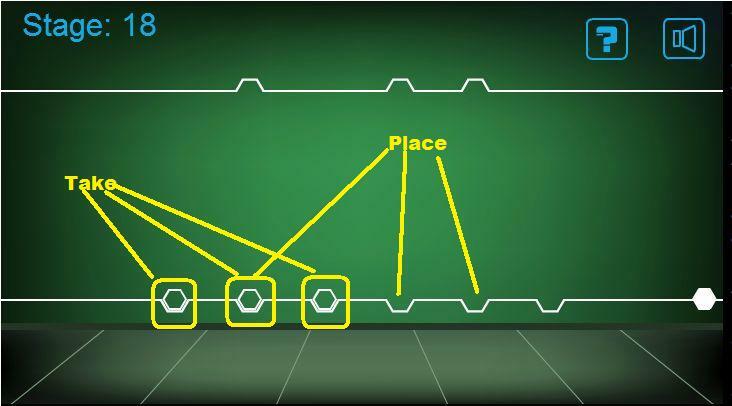 Take the hexagons, then place them back in the spaces so that they will line up with the upper line when it goes up. Click on the solid white hexagon again. There are four circles here, and four numbers underneath. Notice that the numbers correspond to angles, 90, 360, 180, and 270. Click on a circle and hold and watch the perimeter fill in. The object is to fill in each circle to match the angles. 90 is a quarter of the circle, 360 is the whole circle, 180 is half of the circle, and 270 is three quarters. Note the arrows pointing up. 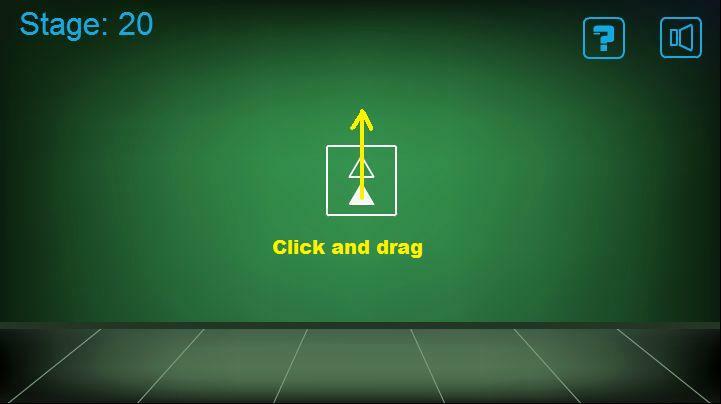 Click and drag on that square in the direction of the arrows. The arrows will then change direction. Keep clicking and draggin in the direction of the arrows until the door appears. Note the white case in the lower right, click on it. Inside are three wrenches, take them. Once you have the wrenches, place them on the nuts on the left. Notice the numbers abive the toolcase. Yep, more angles. Turn each wrench to match the angle. The circles on the line next to the wrenches will fill in when you get it right. Each turn of the wrench is 45 degrees. The first wrench needs to go 90 degrees, so click on it twice. The second wrench needs to go 225 degrees, so click on it five times. The third wrench needs to go 45 degrees, so click on it once. Note the ball in the center keeps shooting down the lines. See the small lines next to the long lines? Click on the small lines to move them over and block the large lines. 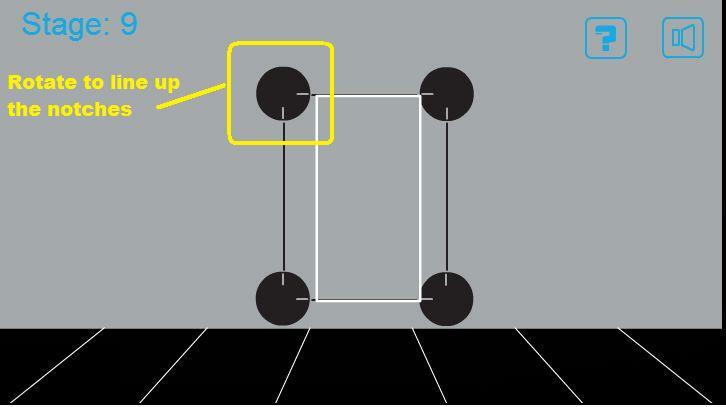 When the ball in the center can no longer shoot down the lines (when everything is blocked) the door will appear. There are four colored floppy disk symbols here. Take them to reveal four colored numbers. Note the file symbols below, 2 on the left and 4 on the right. You want to balance them, so you want to add 2 on the left. 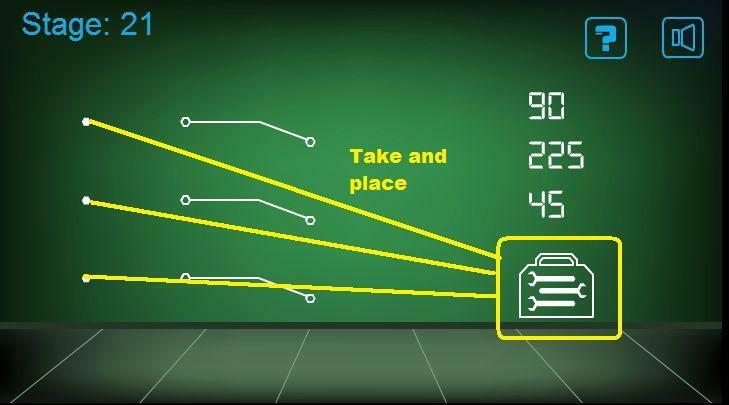 The number revealed when you took the green floppy (far right) is 2, so add the green floppy to the left file and the door will appear. There are a series of lines here. Some have small solid dots, some have open circles, some have semi-circles. Click and drag the lines with the open circles. 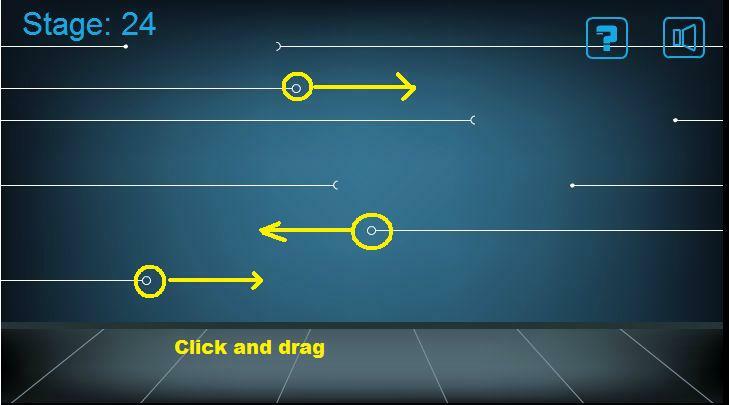 If you drag them in the correct direction they will pull the solid dots into the semi-circles. There are two math problems here, and four pink squares on the ground. Take the pink squares, they are numbers. Use those numbers to figure out the math problems. The numbers are 7, 5, 4, and 9. 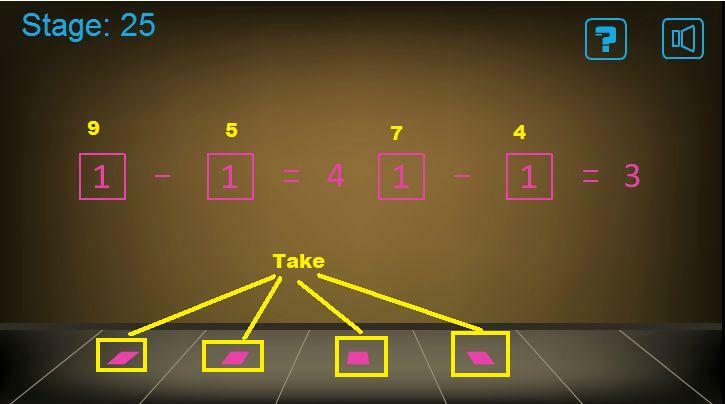 Once you've figured out the equations, click on the numbers in the open pink squares to change them to match. The left equation is 9 - 5 = 4. The right equation is 7 - 4 = 3. Enh, so-so...the only one I had a problem with was room 12, and I think I was over-thinking that one. I think cerebral is a big touch of an overstatement to be honest. I typed the solution from left to right like it indicated but the door does not show up. I checked the snapshot and it's the same 5-5-4-9-7-4-5-9-7 so I know I did it right. anything I missed? That was a very helpful comment, Paul. Thank you.